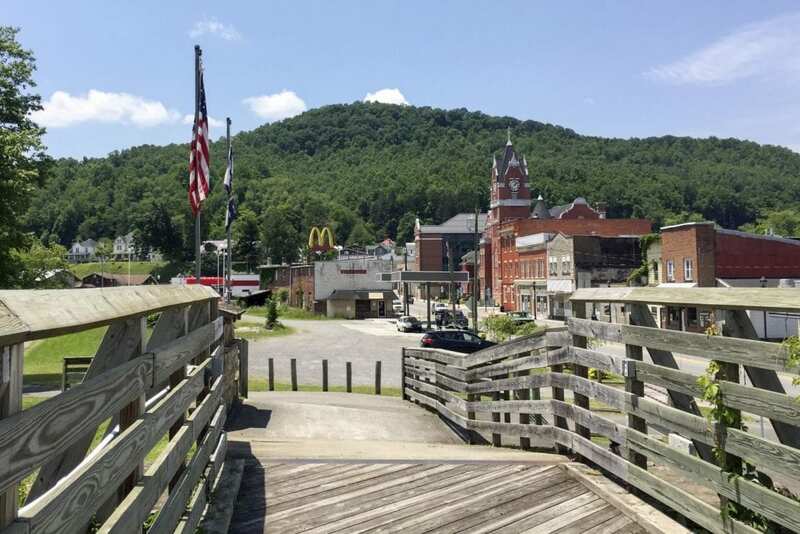 MORGANTOWN, W.Va.–Cardiovascular disease pervades Appalachia, yet many Appalachians live far from any heart and vascular specialist. Follow-up doctor’s visits in the weeks after cardiovascular surgery can involve hours-long drives down narrow, winding roads. With telemedicine, a healthcare provider can use a computer, tablet or other electronic device to remotely evaluate their patients’ symptoms, diagnose illnesses or injuries, and prescribe treatments. They can also field their patients’ questions. The 30 participants in Mousa’s study were recovering from vascular surgery. In each case, the surgeon made an incision in the patient’s groin to access the arteries that needed rebuilding or rerouting. Whether the incisions healed without complications was the study’s focus. Sixteen patients received tablets with Enform–a telemedicine app developed by TeleMed 2020 Inc.–that facilitated communication with nurses managing their care. As part of an in-home monitoring kit, patients also received thermometers, blood pressure cuffs, scales and devices to measure blood oxygen saturation levels. Each day, patients who had been discharged from the hospital weighed themselves, took their temperature, measured their pulse and blood pressure, and determined their blood oxygen levels using the Enform app. They completed a wellness and symptom tracking quiz that included questions like “How is your pain today?” Each week they answered satisfaction and emotional wellness questions as well. These data, along with photos of the surgical incision sites that patients captured with the app–were made available to the patients’ care team. Care managers, in turn, logged into the telemedicine platform daily to review the information patients had submitted from their homes. Cares managers received notifications of abnormalities, such as blood pressure spikes and fevers. Based on the information they gathered, the care managers intervened, answered patients’ questions about symptoms or wound care, called in prescriptions, scheduled appointments with physicians, and modified care plans based on consultations with the medical director. Meanwhile, the other 14 participants had standard-of-care treatment. They received no monitoring equipment, tablet or telemedicine app. After 30 days, the researchers made a number of comparisons between the two groups. For example, were wound infections more common in one group than the other? Did one group require more hospital readmissions? How did members of each group rate their own well-being? Were they happy with the postoperative care they received? Hospital-readmission and wound-infection rates did not differ significantly between groups. The researchers attribute this fact to the study’s small sample size. But patients in the telemedicine group scored better on measures of their physical function, mental health and role limitations due to physical health problems. In addition, the vast majority of patients who used the app found it intuitive to use. Using a five-point scale to measure ease of use, 91 percent of patients gave it a score of 4 or 5. A similar percentage of patients said the app enriched the quality of care they received. Likewise, the telemedicine patients’ scores on quality-of-life assessments surged more dramatically between the study’s beginning and end. Patients assigned to the telemedicine group lived an average of 60 miles from their vascular care center. Almost a third of them lived more than 77 miles away and had to drive for two to three hours to get there. “Telemedicine would save a lot of headache in Appalachia–in areas where people don’t even have the money to get in the car to get to the hospital,” said Mousa, who teaches surgery at the WVU Health Sciences Charleston Campus. Publication: Journal of Vascular Surgery, in press. This study was funded by the West Virginia Clinical and Translational Science Institute (WVCTSI), under Award Number U54GM104942, and the Charleston Area Medical Center (CAMC) Research Institute. WVCTSI is funded by an IDeA Clinical and Translational grant from the National Institute of General Medical Sciences, under Award Number U54GM104942, to support the mission of building clinical and translational research infrastructure and capacity to impact health disparities in West Virginia. The content of this article is solely the responsibility of the authors and does not necessarily represent the official views of WVCTSI or CAMC.